AK ANTHEM / WELLPOINT COMMERCIAL No published policy available. Contact health plan for information. AK AVIA PARTNERS UNSPEC COMMERCIAL - No published policy available. Contact health plan for information. AK HCA INC COMMERCIAL - No published policy available. Contact health plan for information. AK KROGER COMPANY COMMERCIAL - No published policy available. Contact health plan for information. AK ODS HEALTH PLANS COMMERCIAL Y Y N 877-337-0650 503-243-3964 No published policy available. Contact health plan for information. AK PROVIDENCE HEALTH SYSTEMS COMMERCIAL - No published policy available. Contact health plan for information. AK THE REGENCE GROUP COMMERCIAL - - No published policy available. Contact health plan for information. AK UHC - INNOVIANT COMMERCIAL - No published policy available. Contact health plan for information. AK UNIONS - NATIONAL COMMERCIAL - No published policy available. Contact health plan for information. AK FEDERAL EMPLOYEES HEALTH BENEFIT GOVERNMENT Y N U 800-562-1011 - No published policy available. Contact health plan for information. AK PUBLIC EDU HEALTH TRUST (AK) GOVERNMENT - No published policy available. Contact health plan for information. AK TRICARE GOVERNMENT - No published policy available. Contact health plan for information. AK CARESOURCE MEDICAID - No published policy available. Contact health plan for information. AK MEDICAID ALASKA (AK) MEDICAID - No published policy available. Contact health plan for information. AK MEDICAID MONTANA (MT) MEDICAID - No published policy available. Contact health plan for information. AL ANTHEM / WELLPOINT COMMERCIAL - No published policy available. Contact health plan for information. AL AT AND T COMMERCIAL - No published policy available. Contact health plan for information. AL BCBS TENNESSEE (TN) COMMERCIAL - No published policy available. Contact health plan for information. AL EMDEON/WEBMD UNSPEC COMMERCIAL - No published policy available. Contact health plan for information. AL VIVA HEALTH (AL) COMMERCIAL - No published policy available. Contact health plan for information. AL WALMART COMMERCIAL - No published policy available. Contact health plan for information. AL BCBS ALABAMA (AL) GOVERNMENT - No published policy available. Contact health plan for information. AL FEDERAL EMPLOYEES HEALTH BENEFIT GOVERNMENT Y N U 800-248-2342 - No published policy available. Contact health plan for information. AL PEEHIP GOVERNMENT - No published policy available. Contact health plan for information. AL TRICARE GOVERNMENT - No published policy available. Contact health plan for information. AL MEDICAID ALABAMA (AL) MEDICAID - No published policy available. Contact health plan for information. AL HEALTH SPRING MEDICARE - No published policy available. Contact health plan for information. AR ANTHEM / WELLPOINT COMMERCIAL - No published policy available. Contact health plan for information. AR NATIONAL MEDICAL HEALTH CARD - (NMHCRX) COMMERCIAL - No published policy available. Contact health plan for information. AR QCA HEALTH PLAN (AR) COMMERCIAL - No published policy available. Contact health plan for information. AR RESTAT COMMERCIAL - No published policy available. Contact health plan for information. AR TYSON FOODS COMMERCIAL - No published policy available. Contact health plan for information. AR WALMART COMMERCIAL - No published policy available. Contact health plan for information. AR AR STATE/PUBLIC SCHOOL EBD (AR) GOVERNMENT - No published policy available. Contact health plan for information. AR FEDERAL EMPLOYEES HEALTH BENEFIT GOVERNMENT Y N U 602-864-4102 - No published policy available. Contact health plan for information. AR TRICARE GOVERNMENT - No published policy available. Contact health plan for information. AR UNIVERSITY OF ARKANSAS (AR) GOVERNMENT - No published policy available. Contact health plan for information. AR COVENTRY MEDICARE - No published policy available. Contact health plan for information. AR HEALTH SPRING MEDICARE - No published policy available. Contact health plan for information. AR XL HEALTH MEDICARE - No published policy available. Contact health plan for information. AZ ARIZONA STATE UNIV (AZ) COMMERCIAL - No published policy available. Contact health plan for information. AZ FEDERAL EMPLOYEES HEALTH BENEFIT GOVERNMENT Y N U 800-451-7302 - No published policy available. Contact health plan for information. AZ CARE 1ST HEALTH PLAN MEDICAID - No published policy available. Contact health plan for information. AZ IASIS HEALTHCARE MEDICAID - No published policy available. Contact health plan for information. AZ MERCY CARE (AZ) MEDICAID - No published policy available. Contact health plan for information. AZ UHC - AMERICHOICE MEDICAID - No published policy available. Contact health plan for information. AZ UNIVERSITY OF AZ HEALTH PLN (AZ) MEDICAID - No published policy available. Contact health plan for information. AZ BCBS ARIZONA MEDICARE - No published policy available. Contact health plan for information. AZ CAREMORE MEDICARE - No published policy available. Contact health plan for information. AZ MERCY CARE (AZ) MEDICARE - No published policy available. Contact health plan for information. AZ PHOENIX MEMORIAL HOSPITAL (AZ) MEDICARE - No published policy available. Contact health plan for information. CA NAVITUS - OTHERS COMMERCIAL - No published policy available. Contact health plan for information. CA FEDERAL EMPLOYEES HEALTH BENEFIT GOVERNMENT Y N U 800-633-4581 - No published policy available. Contact health plan for information. CA CAL - OPTIMA (CA) MEDICAID - No published policy available. Contact health plan for information. CA CARE 1ST HEALTH PLAN MEDICAID - No published policy available. Contact health plan for information. CA LA CARE MEDICAID - No published policy available. Contact health plan for information. CA MEDICAID CALIFORNIA (CA) MEDICAID - No published policy available. Contact health plan for information. CA PARTNERSHIP HEALTH PLAN (CA) MEDICAID - No published policy available. Contact health plan for information. CA BLUE SHIELD OF (CA) MEDICARE - No published policy available. Contact health plan for information. CA CARE 1ST HEALTH PLAN MEDICARE - No published policy available. Contact health plan for information. CA CAREMORE MEDICARE - No published policy available. Contact health plan for information. CA SCAN HEALTH PLAN MEDICARE - No published policy available. Contact health plan for information. CO COLORADO EMP BEN TRUST/CEBT (CO) COMMERCIAL - No published policy available. Contact health plan for information. CO KAISER - (CARVED) COMMERCIAL - No published policy available. Contact health plan for information. CO KROGER COMPANY COMMERCIAL - No published policy available. Contact health plan for information. CO ROCKY MOUNTAIN COMMERCIAL - No published policy available. Contact health plan for information. CO UHC - INNOVIANT COMMERCIAL - No published policy available. Contact health plan for information. CO FEDERAL EMPLOYEES HEALTH BENEFIT GOVERNMENT Y N U 800-860-2156 800-732-8318 No published policy available. Contact health plan for information. CO TRICARE GOVERNMENT - No published policy available. Contact health plan for information. CO COLORADO ACCESS (CO) MEDICAID - No published policy available. Contact health plan for information. CO MEDICAID COLORADO (CO) MEDICAID - No published policy available. Contact health plan for information. CO ROCKY MOUNTAIN MEDICAID - No published policy available. Contact health plan for information. CO COLORADO ACCESS (CO) MEDICARE - No published policy available. Contact health plan for information. CO KAISER - (CARVED) MEDICARE - No published policy available. Contact health plan for information. CO ROCKY MOUNTAIN MEDICARE - No published policy available. Contact health plan for information. CT CITY OF HARTFORD RETIREES (CT) COMMERCIAL - No published policy available. Contact health plan for information. CT GENERAL DYNAMICS (VA) COMMERCIAL - No published policy available. Contact health plan for information. CT HIP/CONNECTICARE COMMERCIAL - No published policy available. Contact health plan for information. CT UNIONS - NATIONAL COMMERCIAL - No published policy available. Contact health plan for information. CT UNITED TECHNOLOGIES CORP COMMERCIAL - No published policy available. Contact health plan for information. CT FEDERAL EMPLOYEES HEALTH BENEFIT GOVERNMENT Y N U 800-860-2156 800-732-8318 No published policy available. Contact health plan for information. CT SAYLES SCHOOL (CT) GOVERNMENT - No published policy available. Contact health plan for information. CT STATE OF CONNECTICUT EMP (CT) GOVERNMENT - No published policy available. Contact health plan for information. CT TRICARE GOVERNMENT - No published policy available. Contact health plan for information. CT MEDICAID CONNECTICUT (CT) MEDICAID - No published policy available. Contact health plan for information. CT ANTHEM / WELLPOINT MEDICARE - No published policy available. Contact health plan for information. CT CONNECTICARE MAPD MEDICARE - No published policy available. Contact health plan for information. DC ANTHEM / WELLPOINT COMMERCIAL - No published policy available. Contact health plan for information. DC FEDERAL EMPLOYEES HEALTH BENEFIT GOVERNMENT Y N U 800-553-8700 - No published policy available. Contact health plan for information. DC GOVRNMNT EMPLOYEE HOSP ASSC/GEHA GOVERNMENT - No published policy available. Contact health plan for information. DC PRINCE GEORGES CNTY PUB SCH (MD) GOVERNMENT - No published policy available. Contact health plan for information. DC TRICARE GOVERNMENT - No published policy available. Contact health plan for information. DC ANTHEM / WELLPOINT MEDICAID - No published policy available. Contact health plan for information. DC DC HEALTHCARE ALLIANCE (DC) MEDICAID - No published policy available. Contact health plan for information. DC JAI MEDICAL SYS (MD) MEDICAID - No published policy available. Contact health plan for information. DC MARYLAND PHYSICIANS CARE (MPC) MEDICAID - No published policy available. Contact health plan for information. DC MEDICAID WASHINGTON D.C. (DC) MEDICAID - No published policy available. Contact health plan for information. DC MEDSTAR HEALTH MEDICAID - No published policy available. Contact health plan for information. DC PRIORITY PARTNERS (MD) MEDICAID - No published policy available. Contact health plan for information. DC SELECT HEALTH OF SC MEDICAID - No published policy available. Contact health plan for information. DC TRUSTED HEALTH PLAN (DC) MEDICAID - No published policy available. Contact health plan for information. DC UHC - UNITED HEALTHCARE LEGACY MEDICAID - No published policy available. Contact health plan for information. DC HEALTH SPRING MEDICARE - No published policy available. Contact health plan for information. DE BANK OF AMERICA COMMERCIAL - No published policy available. Contact health plan for information. DE HIGHMARK COMMERCIAL Y Y U 800-572-2872 Visit Link Short term interstitial continuous glucose monitoring (up to and including 72 hour) may be considered medically necessary when ANY ONE of the following criteria are met: * An individual who has type I diabetes and requires determination of basal insulin level measurements prior to insulin pump initiation or * An individual who has type I or type II diabetes and documentation of ALL of the following: * Has received diabetes self-management education and instruction from a health care professional with expertise in the management of diabetes and * Has a documented average of at least three glucose self-tests per day during the previous month and * Has a documented history of severe ketosis or hypoglycemic unawareness) and * Is on an intensive insulin regimen, requiring two or more insulin injections per day, or utilizes an insulin pump and * Has ONE or MORE of the following while on an intensive insulin regimen: - Glycated hemoglobin (HbA1c) values less than four or greater than nineor - Unexplained large fluctuations in daily glucose values before mealsor - Unexplained frequent hypoglycemic attacks or - Episodes of ketoacidosis or hospitalizations for significantly elevated glucose levels. For short-term diagnostic use, no more than two continuous glucose monitoring periods may be considered medically necessary within a 12-month period. DE IBC COMMERCIAL COMMERCIAL - No published policy available. Contact health plan for information. DE J P MORGAN CHASE COMMERCIAL - No published policy available. Contact health plan for information. DE FEDERAL EMPLOYEES HEALTH BENEFIT GOVERNMENT Y N U 800-572-2872 - No published policy available. Contact health plan for information. DE STATE OF DELAWARE EMPLOYEES (DE) GOVERNMENT - No published policy available. Contact health plan for information. DE TRICARE GOVERNMENT No published policy available. Contact health plan for information. DE HEALTH PARTNERS OF (PA) MEDICAID - No published policy available. Contact health plan for information. DE HIGHMARK MEDICAID - No published policy available. Contact health plan for information. DE KEYSTONE MERCY MEDICAID - No published policy available. Contact health plan for information. DE MEDICAID DELAWARE (DE) MEDICAID - No published policy available. Contact health plan for information. DE HEALTH SPRING MEDICARE - No published policy available. Contact health plan for information. DE STATE OF DELAWARE EMPLOYEES (DE) MEDICARE - No published policy available. Contact health plan for information. FL FEDERAL EMPLOYEES HEALTH BENEFIT GOVERNMENT Y N U 800-955-5692 - No published policy available. Contact health plan for information. FL FLORIDA STATE EMPLOYEES PPO GOVERNMENT - No published policy available. Contact health plan for information. FL TRICARE GOVERNMENT - No published policy available. Contact health plan for information. FL ANTHEM / WELLPOINT MEDICAID - No published policy available. Contact health plan for information. FL MEDICAID FLORIDA (FL) MEDICAID - No published policy available. Contact health plan for information. FL UHC - UNISON HEALTH PLAN MEDICAID - No published policy available. Contact health plan for information. FL AV - MED MEDICARE - No published policy available. Contact health plan for information. FL COVENTRY MEDICARE - No published policy available. Contact health plan for information. FL MEDICA HEALTHCARE (FL) MEDICARE - No published policy available. Contact health plan for information. FL SIMPLY HEALTHCARE (FL) MEDICARE - No published policy available. Contact health plan for information. FL WELLCARE MEDICARE - No published policy available. Contact health plan for information. GA ANTHEM / WELLPOINT COMMERCIAL - No published policy available. Contact health plan for information. GA AT AND T COMMERCIAL - No published policy available. Contact health plan for information. GA EMORY UNIVERSITY COMMERCIAL No published policy available. Contact health plan for information. GA BOARD OF REGENTS UNIV SYS (GA) GOVERNMENT - No published policy available. Contact health plan for information. GA FEDERAL EMPLOYEES HEALTH BENEFIT GOVERNMENT Y N U 800-860-2156 800-732-8318 No published policy available. Contact health plan for information. GA SHBP (GA) GOVERNMENT - No published policy available. Contact health plan for information. GA TRICARE GOVERNMENT - No published policy available. Contact health plan for information. GA ANTHEM / WELLPOINT MEDICAID - No published policy available. Contact health plan for information. GA MEDICAID GEORGIA (GA) MEDICAID - No published policy available. Contact health plan for information. GA HEALTH SPRING MEDICARE - No published policy available. Contact health plan for information. GA XL HEALTH MEDICARE - No published policy available. Contact health plan for information. HI CATALYST COMMERCIAL No published policy available. Contact health plan for information. HI HAWAII MGM ALLIANCE ASSOC HMAA COMMERCIAL - No published policy available. Contact health plan for information. HI HMSA COMMERCIAL Y Y N 808-944-5611 - No published policy available. Contact health plan for information. HI RESTAT COMMERCIAL - No published policy available. Contact health plan for information. HI SIERRA HEALTH COMMERCIAL - No published policy available. Contact health plan for information. HI UNIONS - NATIONAL COMMERCIAL - No published policy available. Contact health plan for information. HI FEDERAL EMPLOYEES HEALTH BENEFIT GOVERNMENT Y N U 800-966-6198 - No published policy available. Contact health plan for information. HI HAWAII EMPLOYER UNION HEALTH BENEFITS GOVERNMENT - No published policy available. Contact health plan for information. HI TRICARE GOVERNMENT - No published policy available. Contact health plan for information. HI ALOHACARE MEDICAID - No published policy available. Contact health plan for information. HI HMSA QUEST MEDICAID Y Y N 808-944-5611 - No published policy available. Contact health plan for information. HI UHC - UNITED HEALTHCARE LEGACY MEDICAID - No published policy available. Contact health plan for information. HI HMSA MEDICARE - No published policy available. Contact health plan for information. IA ANTHEM / WELLPOINT COMMERCIAL - No published policy available. Contact health plan for information. IA BCBS MINNESOTA (MN) COMMERCIAL - No published policy available. Contact health plan for information. IA COVENTRY COMMERCIAL - No published policy available. Contact health plan for information. IA TYSON FOODS COMMERCIAL - No published policy available. Contact health plan for information. IA UHC - INNOVIANT COMMERCIAL - No published policy available. Contact health plan for information. 888-242-9058 - No published policy available. Contact health plan for information. IA WELLMARK COMMERCIAL - No published policy available. Contact health plan for information. IA WELLS FARGO CORP/NORWEST COMMERCIAL - No published policy available. Contact health plan for information. IA FEDERAL EMPLOYEES HEALTH BENEFIT GOVERNMENT Y N U 800-552-3993 - No published policy available. Contact health plan for information. IA TRICARE GOVERNMENT - No published policy available. Contact health plan for information. IA MEDICAID IOWA (IA) MEDICAID - No published policy available. Contact health plan for information. IA COVENTRY MEDICARE - No published policy available. Contact health plan for information. IA DEERE AND COMPANY MEDICARE - No published policy available. Contact health plan for information. IA XL HEALTH MEDICARE - No published policy available. Contact health plan for information. ID COVENTRY COMMERCIAL - No published policy available. Contact health plan for information. ID ODS HEALTH PLANS COMMERCIAL - No published policy available. Contact health plan for information. ID PREMERA COMMERCIAL - No published policy available. Contact health plan for information. ID PROVIDENCE HEALTH SYSTEMS COMMERCIAL - No published policy available. Contact health plan for information. ID SELECT HEALTH COMMERCIAL - No published policy available. Contact health plan for information. ID SIERRA HEALTH COMMERCIAL - No published policy available. Contact health plan for information. ID THE REGENCE GROUP COMMERCIAL - No published policy available. Contact health plan for information. ID FEDERAL EMPLOYEES HEALTH BENEFIT GOVERNMENT Y N U 800-627-1187 - No published policy available. Contact health plan for information. ID TRICARE GOVERNMENT - No published policy available. Contact health plan for information. ID MEDICAID IDAHO (ID) MEDICAID - No published policy available. Contact health plan for information. ID BLUE CROSS IDAHO (ID) MEDICARE - No published policy available. Contact health plan for information. ID PACIFICSOURCE (OR) MEDICARE - No published policy available. Contact health plan for information. ID SELECT HEALTH MEDICARE - No published policy available. Contact health plan for information. ID THE REGENCE GROUP MEDICARE - No published policy available. Contact health plan for information. IL ANTHEM / WELLPOINT COMMERCIAL - No published policy available. Contact health plan for information. IL CATERPILLAR INC COMMERCIAL - No published policy available. Contact health plan for information. IL HEALTH ALLIANCE MEDICAL (IL) COMMERCIAL - No published policy available. Contact health plan for information. IL UNIONS - NATIONAL COMMERCIAL - No published policy available. Contact health plan for information. IL FEDERAL EMPLOYEES HEALTH BENEFIT GOVERNMENT Y N U 800-227-6591 - No published policy available. Contact health plan for information. IL STATE OF IL EMP HP/SERS (IL) GOVERNMENT - No published policy available. Contact health plan for information. IL AETNA BETTER HEALTH MEDICAID - No published policy available. Contact health plan for information. IL CENTENE MEDICAID - No published policy available. Contact health plan for information. IL FAMILY HEALTH NETWORK (IL) MEDICAID - No published policy available. Contact health plan for information. IL HEALTH ALLIANCE MEDICAL (IL) MEDICAID - No published policy available. Contact health plan for information. IL MEDICAID ILLINOIS (IL) MEDICAID - No published policy available. Contact health plan for information. IL COVENTRY MEDICARE - No published policy available. Contact health plan for information. IL HEALTH ALLIANCE MEDICAL (IL) MEDICARE - No published policy available. Contact health plan for information. IL HEALTH SPRING MEDICARE - No published policy available. Contact health plan for information. IN ELI LILLY AND COMPANY COMMERCIAL - No published policy available. Contact health plan for information. IN INTERNATIONAL STEEL GROUP INC COMMERCIAL - No published policy available. Contact health plan for information. IN UHC - INNOVIANT COMMERCIAL - No published policy available. Contact health plan for information. IN FEDERAL EMPLOYEES HEALTH BENEFIT GOVERNMENT Y N U 800-860-2156 800-732-8318 No published policy available. Contact health plan for information. IN STATE OF INDIANA EMPLOYEES (IN) GOVERNMENT - No published policy available. Contact health plan for information. IN TRICARE GOVERNMENT - No published policy available. Contact health plan for information. IN ANTHEM / WELLPOINT MEDICAID - No published policy available. Contact health plan for information. IN CENTENE MEDICAID - No published policy available. Contact health plan for information. IN MD WISE (IN) MEDICAID - No published policy available. Contact health plan for information. IN MEDICAID INDIANA (IN) MEDICAID - No published policy available. Contact health plan for information. IN ANTHEM / WELLPOINT MEDICARE - No published policy available. Contact health plan for information. IN UPMC (PA) MEDICARE - No published policy available. Contact health plan for information. IN XL HEALTH MEDICARE - No published policy available. Contact health plan for information. KS BCBS KANSAS CITY (KC) COMMERCIAL - No published policy available. Contact health plan for information. KS CATALYST COMMERCIAL - No published policy available. Contact health plan for information. KS COVENTRY COMMERCIAL - No published policy available. Contact health plan for information. KS MEDCO COMMERCIAL - - No published policy available. Contact health plan for information. KS TEXTRON INC COMMERCIAL - No published policy available. Contact health plan for information. KS FEDERAL EMPLOYEES HEALTH BENEFIT GOVERNMENT Y N U 800-782-4437 - No published policy available. Contact health plan for information. KS KANSAS STATE EMPLOYEES (KS) GOVERNMENT - No published policy available. Contact health plan for information. KS ANTHEM / WELLPOINT MEDICAID - No published policy available. Contact health plan for information. KS CENTENE MEDICAID - No published policy available. Contact health plan for information. KS MEDICAID KANSAS (KS) MEDICAID - No published policy available. Contact health plan for information. KS MEDICAID MISSOURI (MO) MEDICAID - No published policy available. Contact health plan for information. KS UHC - UNITED HEALTHCARE LEGACY MEDICAID - No published policy available. Contact health plan for information. KS COVENTRY MEDICARE - No published policy available. Contact health plan for information. KY BAPTIST HEALTH SYSTEM (KY) COMMERCIAL - No published policy available. Contact health plan for information. KY KENTUCKY HEALTH COOPERATIVE (KY) COMMERCIAL - No published policy available. Contact health plan for information. KY UNIONS - NATIONAL COMMERCIAL - No published policy available. Contact health plan for information. KY COMMONWEALTH OF KENTUCKY (KY) GOVERNMENT - No published policy available. Contact health plan for information. KY FEDERAL EMPLOYEES HEALTH BENEFIT GOVERNMENT Y N U 800-860-2156 800-732-8318 No published policy available. Contact health plan for information. KY TRICARE GOVERNMENT - No published policy available. Contact health plan for information. KY ANTHEM / WELLPOINT MEDICAID - No published policy available. Contact health plan for information. KY COVENTRY MEDICAID - No published policy available. Contact health plan for information. KY MEDICAID KENTUCKY (KY) MEDICAID - No published policy available. Contact health plan for information. KY PASSPORT HEALTH PLAN MEDICAID - No published policy available. Contact health plan for information. KY ANTHEM / WELLPOINT MEDICARE - No published policy available. Contact health plan for information. KY COMMONWEALTH OF KENTUCKY (KY) MEDICARE - No published policy available. Contact health plan for information. LA COVENTRY COMMERCIAL - No published policy available. Contact health plan for information. LA NAVITUS - OTHERS COMMERCIAL - No published policy available. Contact health plan for information. LA FEDERAL EMPLOYEES HEALTH BENEFIT GOVERNMENT Y N U 800-523-6435 - No published policy available. Contact health plan for information. LA OFFICE OF GROUP BENEFITS (LA) GOVERNMENT - No published policy available. Contact health plan for information. LA TRICARE GOVERNMENT - No published policy available. Contact health plan for information. LA ANTHEM / WELLPOINT MEDICAID - No published policy available. Contact health plan for information. LA CENTENE MEDICAID - No published policy available. Contact health plan for information. LA MEDICAID LOUISIANA (LA) MEDICAID - No published policy available. Contact health plan for information. LA SELECT HEALTH OF SC MEDICAID - No published policy available. Contact health plan for information. LA UHC - UNITED HEALTHCARE LEGACY MEDICAID - No published policy available. Contact health plan for information. LA OFFICE OF GROUP BENEFITS (LA) MEDICARE - No published policy available. Contact health plan for information. MA FALLON COMMUNITY HEALTH - (FCHP) COMMERCIAL Y Y N 508-368-9700 - No published policy available. Contact health plan for information. MA HEALTH NEW ENGLAND (MA) COMMERCIAL Y N U 413-233-2700 - No published policy available. Contact health plan for information. MA PARTNERS HEALTHCARE COMMERCIAL - No published policy available. Contact health plan for information. MA COMMONWEALTH OF MASSACHUSETTS (MA) GOVERNMENT - No published policy available. Contact health plan for information. MA FEDERAL EMPLOYEES HEALTH BENEFIT GOVERNMENT Y N U 800-634-2828 - No published policy available. Contact health plan for information. MA MEDICAID MASSACHUSETTS (MA) MEDICAID - No published policy available. Contact health plan for information. MA COMMONWEALTH CARE ALLIANCE (MA) MEDICARE - No published policy available. Contact health plan for information. MA SENIOR WHOLE HEALTH MEDICARE - No published policy available. Contact health plan for information. MA TUFTS HEALTH PLAN (MA) MEDICARE - No published policy available. Contact health plan for information. MD ANTHEM / WELLPOINT COMMERCIAL - No published policy available. Contact health plan for information. MD UNIONS - NATIONAL COMMERCIAL - No published policy available. Contact health plan for information. MD BALTIMORE CNTY PUBLIC SCHLS (MD) GOVERNMENT - No published policy available. Contact health plan for information. MD FEDERAL EMPLOYEES HEALTH BENEFIT GOVERNMENT Y N U 800-443-5434 - No published policy available. Contact health plan for information. MD MONTGOMERY COUNTY PUBL SCHLS(MD) GOVERNMENT - No published policy available. Contact health plan for information. MD PRINCE GEORGES CNTY PUB SCH (MD) GOVERNMENT - No published policy available. Contact health plan for information. MD STATE OF MARYLAND EMPLOYEES (MD) GOVERNMENT - No published policy available. Contact health plan for information. MD TRICARE GOVERNMENT - No published policy available. Contact health plan for information. MD ANTHEM / WELLPOINT MEDICAID - No published policy available. Contact health plan for information. MD JAI MEDICAL SYS MEDICAID (MD) MEDICAID - No published policy available. Contact health plan for information. MD MARYLAND PHYSICIANS CARE (MPC) MEDICAID - No published policy available. Contact health plan for information. MD MEDICAID MARYLAND (MD) MEDICAID - No published policy available. Contact health plan for information. MD MEDSTAR HEALTH MEDICAID - No published policy available. Contact health plan for information. MD PRIORITY PARTNERS (MD) MEDICAID - No published policy available. Contact health plan for information. MD UHC - UNITED HEALTHCARE LEGACY MEDICAID - No published policy available. Contact health plan for information. MD HEALTH SPRING MEDICARE - No published policy available. Contact health plan for information. MD UPMC (PA) MEDICARE - No published policy available. Contact health plan for information. ME BCBS MASSACHUSETTS (MA) COMMERCIAL - No published policy available. Contact health plan for information. ME DELHAIZE GROUP COMMERCIAL - No published policy available. Contact health plan for information. ME MAINE COMMUNITY HEALTH OPT (ME) COMMERCIAL - No published policy available. Contact health plan for information. ME NAVITUS - OTHERS COMMERCIAL - No published policy available. Contact health plan for information. ME RESTAT COMMERCIAL - No published policy available. Contact health plan for information. ME UNIONS - NATIONAL COMMERCIAL - - No published policy available. Contact health plan for information. ME FEDERAL EMPLOYEES HEALTH BENEFIT GOVERNMENT Y N U 800-523-6435 800-732-8318 No published policy available. Contact health plan for information. ME TRICARE GOVERNMENT - No published policy available. Contact health plan for information. ME MEDICAID MAINE (ME) MEDICAID - No published policy available. Contact health plan for information. ME ANTHEM / WELLPOINT MEDICARE - No published policy available. Contact health plan for information. ME MARTINS POINT HEALTH CARE (ME) MEDICARE - No published policy available. Contact health plan for information. ME UNIVERSAL AMERICAN MEDICARE - No published policy available. Contact health plan for information. MI ANTHEM / WELLPOINT COMMERCIAL - No published policy available. Contact health plan for information. MI HEALTH PLUS (MI) COMMERCIAL - No published policy available. Contact health plan for information. MI UNIONS - NATIONAL COMMERCIAL - No published policy available. Contact health plan for information. MI FEDERAL EMPLOYEES HEALTH BENEFIT GOVERNMENT Y N U 800-245-2513 - No published policy available. Contact health plan for information. MI STATE OF MICHIGAN EMPLOYEES (MI) GOVERNMENT - No published policy available. Contact health plan for information. MI BCBS MICHIGAN (MI) MEDICAID - No published policy available. Contact health plan for information. MI HEALTH PLUS (MI) MEDICAID - No published policy available. Contact health plan for information. MI MCLAREN HEALTH PLAN (MI) MEDICAID - No published policy available. Contact health plan for information. MI MEDICAID MICHIGAN (MI) MEDICAID - No published policy available. Contact health plan for information. MI MOLINA HEALTH CARE MEDICAID - No published policy available. Contact health plan for information. MI UHC - AMERICHOICE MEDICAID - No published policy available. Contact health plan for information. MI MOLINA HEALTH CARE MEDICARE - No published policy available. Contact health plan for information. MI PRIORITY HEALTH (MI) MEDICARE - No published policy available. Contact health plan for information. MN MEDICA COMMERCIAL Y Y N 800-458-5512 952-992-3556 No published policy available. Contact health plan for information. MN NAVITUS - OTHERS COMMERCIAL - No published policy available. Contact health plan for information. MN PREFERREDONE (MN) COMMERCIAL - No published policy available. Contact health plan for information. MN UNIONS - NATIONAL COMMERCIAL - No published policy available. Contact health plan for information. MN FEDERAL EMPLOYEES HEALTH BENEFIT GOVERNMENT Y N U 800-382-2000 - No published policy available. Contact health plan for information. MN NAVITUS - MN ADVANTAGE HEALTH PLAN GOVERNMENT - No published policy available. Contact health plan for information. MN BCBS MINNESOTA (MN) MEDICAID - No published policy available. Contact health plan for information. MN MEDICA MEDICAID Y Y N 800-458-5512 952-992-3556 No published policy available. Contact health plan for information. MN MEDICAID MINNESOTA (MN) MEDICAID - No published policy available. Contact health plan for information. MN NAVITUS - OTHERS MEDICAID - No published policy available. Contact health plan for information. MN PRIMEWEST HEALTH SYSTEMS (MN) MEDICAID - No published policy available. Contact health plan for information. MN HEALTH PARTNERS (MN) MEDICARE - No published policy available. Contact health plan for information. MN MEDICA MEDICARE Y Y N 800-458-5512 952-992-3556 No published policy available. Contact health plan for information. MO COVENTRY COMMERCIAL - No published policy available. Contact health plan for information. MO UHC - INNOVIANT COMMERCIAL - No published policy available. Contact health plan for information. MO UNIONS - NATIONAL COMMERCIAL - No published policy available. Contact health plan for information. 816-395-3989 - No published policy available. Contact health plan for information. MO MO CONSOLIDATED HEALTHCARE PLAN GOVERNMENT - No published policy available. Contact health plan for information. MO TRICARE GOVERNMENT - No published policy available. Contact health plan for information. MO MEDICAID ILLINOIS (IL) MEDICAID - No published policy available. Contact health plan for information. MO MEDICAID MISSOURI (MO) MEDICAID - No published policy available. Contact health plan for information. MO COVENTRY MEDICARE - No published policy available. Contact health plan for information. MO ESSENCE HEALTHCARE MEDICARE - No published policy available. Contact health plan for information. MO XL HEALTH MEDICARE - No published policy available. Contact health plan for information. MS ANTHEM / WELLPOINT COMMERCIAL - No published policy available. Contact health plan for information. MS AT AND T COMMERCIAL - No published policy available. Contact health plan for information. MS BCBS ALABAMA (AL) COMMERCIAL - No published policy available. Contact health plan for information. MS BCBS FLORIDA (FL) COMMERCIAL - No published policy available. Contact health plan for information. MS BCBS TENNESSEE (TN) COMMERCIAL - No published policy available. Contact health plan for information. MS EMDEON/WEBMD UNSPEC COMMERCIAL - No published policy available. Contact health plan for information. MS HIGHMARK COMMERCIAL - No published policy available. Contact health plan for information. MS FEDERAL EMPLOYEES HEALTH BENEFIT GOVERNMENT Y N U 800-841-9659 - No published policy available. Contact health plan for information. MS STATE OF MISSISSIPPI EES GOVERNMENT - No published policy available. Contact health plan for information. MS TRICARE GOVERNMENT - No published policy available. Contact health plan for information. MS UHC - UNITED HEALTHCARE LEGACY MEDICAID - No published policy available. Contact health plan for information. MS HEALTH SPRING MEDICARE - No published policy available. Contact health plan for information. MT ASSURANT COMMERCIAL - No published policy available. Contact health plan for information. MT BCBS MINNESOTA (MN) COMMERCIAL - No published policy available. Contact health plan for information. MT BCBS NORTH DAKOTA (ND) COMMERCIAL - No published policy available. Contact health plan for information. MT COVENTRY COMMERCIAL - No published policy available. Contact health plan for information. MT NAVITUS - OTHERS COMMERCIAL - No published policy available. Contact health plan for information. MT PACIFICSOURCE (OR) COMMERCIAL - No published policy available. Contact health plan for information. MT PREMERA COMMERCIAL - No published policy available. Contact health plan for information. MT THE REGENCE GROUP COMMERCIAL - No published policy available. Contact health plan for information. MT WELLS FARGO CORP/NORWEST COMMERCIAL - No published policy available. Contact health plan for information. MT FEDERAL EMPLOYEES HEALTH BENEFIT GOVERNMENT Y N U 877-885-3751 - No published policy available. Contact health plan for information. MT STATE OF MONTANA EMPLOYEES (MT) GOVERNMENT - No published policy available. Contact health plan for information. MT TRICARE GOVERNMENT - No published policy available. Contact health plan for information. MT MEDICAID MONTANA (MT) MEDICAID - No published policy available. Contact health plan for information. MT NEW WEST HEALTH SERVICES (MT) MEDICARE - No published policy available. Contact health plan for information. NC ANTHEM / WELLPOINT COMMERCIAL - No published policy available. Contact health plan for information. NC BCBS SOUTH CAROLINA (SC) COMMERCIAL - No published policy available. Contact health plan for information. NC COVENTRY COMMERCIAL - No published policy available. Contact health plan for information. NC DUKE ENERGY CORPORATION COMMERCIAL - No published policy available. Contact health plan for information. NC LOWES COMPANIES COMMERCIAL - No published policy available. Contact health plan for information. NC NATIONAL MEDICAL HEALTH CARD - (NMHCRX) COMMERCIAL - No published policy available. Contact health plan for information. NC WELLS FARGO CORP/NORWEST COMMERCIAL - No published policy available. Contact health plan for information. NC FEDERAL EMPLOYEES HEALTH BENEFIT GOVERNMENT Y N U 800-672-7897 - No published policy available. Contact health plan for information. NC NC TEACHERS AND STATE EMP (NC) GOVERNMENT - No published policy available. Contact health plan for information. NC TRICARE GOVERNMENT - No published policy available. Contact health plan for information. NC MEDICAID NORTH CAROLINA (NC) MEDICAID - No published policy available. Contact health plan for information. NC BCBS NORTH CAROLINA (NC) MEDICARE - No published policy available. Contact health plan for information. NC HEALTH SPRING MEDICARE - No published policy available. Contact health plan for information. ND BCBS MINNESOTA (MN) COMMERCIAL - No published policy available. Contact health plan for information. ND EMDEON/WEBMD UNSPEC COMMERCIAL - No published policy available. Contact health plan for information. ND HEALTH PARTNERS (MN) COMMERCIAL - No published policy available. Contact health plan for information. ND MEDICA COMMERCIAL Y Y N 800-458-5512 952-992-3556 No published policy available. Contact health plan for information. ND SANFORD HEALTH PLAN COMMERCIAL - No published policy available. Contact health plan for information. ND FEDERAL EMPLOYEES HEALTH BENEFIT GOVERNMENT Y N U 800-952-8462 - No published policy available. Contact health plan for information. ND ND PUBLIC EMPLOYEES RET SYS (ND) GOVERNMENT - No published policy available. Contact health plan for information. ND TRICARE GOVERNMENT - No published policy available. Contact health plan for information. ND BCBS MINNESOTA (MN) MEDICAID - No published policy available. Contact health plan for information. ND MEDICA MEDICAID Y Y N 800-458-5512 952-992-3556 No published policy available. Contact health plan for information. ND MEDICAID NORTH DAKOTA (ND) MEDICAID - No published policy available. Contact health plan for information. ND SANFORD HEALTH PLAN MEDICAID - No published policy available. Contact health plan for information. ND UCARE MINNESOTA MEDICAID - No published policy available. Contact health plan for information. ND MEDICA MEDICARE Y Y N 800-458-5512 952-992-3556 No published policy available. Contact health plan for information. ND UCARE MINNESOTA MEDICARE - No published policy available. Contact health plan for information. NE COVENTRY COMMERCIAL - No published policy available. Contact health plan for information. NE RESTAT COMMERCIAL - No published policy available. Contact health plan for information. NE SELECT HEALTH COMMERCIAL - No published policy available. Contact health plan for information. NE UHC - INNOVIANT COMMERCIAL - No published policy available. Contact health plan for information. NE WELLMARK COMMERCIAL - No published policy available. Contact health plan for information. NE FEDERAL EMPLOYEES HEALTH BENEFIT GOVERNMENT Y N U 800-247-1103 - No published policy available. Contact health plan for information. NE TRICARE GOVERNMENT - No published policy available. Contact health plan for information. NE UNIVERSITY OF NEBRASKA (NE) GOVERNMENT - No published policy available. Contact health plan for information. NE AETNA MEDICAID - No published policy available. Contact health plan for information. NE MEDICAID IOWA (IA) MEDICAID - No published policy available. Contact health plan for information. NE MEDICAID NEBRASKA (NE) MEDICAID - No published policy available. Contact health plan for information. NE UHC - AMERICHOICE MEDICAID - No published policy available. Contact health plan for information. NE COVENTRY MEDICARE - No published policy available. Contact health plan for information. NE XL HEALTH MEDICARE - No published policy available. Contact health plan for information. NH BAE SYSTEMS COMMERCIAL - No published policy available. Contact health plan for information. NH BCBS MASSACHUSETTS (MA) COMMERCIAL - No published policy available. Contact health plan for information. NH BCBS VERMONT (VT) COMMERCIAL - No published policy available. Contact health plan for information. NH NAVITUS - OTHERS COMMERCIAL - No published policy available. Contact health plan for information. NH RAYTHEON COMPANY COMMERCIAL - No published policy available. Contact health plan for information. NH FEDERAL EMPLOYEES HEALTH BENEFIT GOVERNMENT Y N U 800-860-2156 800-732-8318 No published policy available. Contact health plan for information. NH NH LOCAL GOVT CENTER/LGC (NH) GOVERNMENT - No published policy available. Contact health plan for information. NH TRICARE GOVERNMENT - No published policy available. Contact health plan for information. NH BOSTON MEDICAL CENTER MEDICAID - No published policy available. Contact health plan for information. NH CENTENE MEDICAID - No published policy available. Contact health plan for information. NH MEDICAID NEW HAMPSHIRE (NH) MEDICAID - No published policy available. Contact health plan for information. NH MEDICAID VERMONT (VT) MEDICAID - No published policy available. Contact health plan for information. NJ ANTHEM / WELLPOINT COMMERCIAL - No published policy available. Contact health plan for information. NJ IBC COMMERCIAL COMMERCIAL - No published policy available. Contact health plan for information. NJ UNIONS - NATIONAL COMMERCIAL - No published policy available. Contact health plan for information. NJ FEDERAL EMPLOYEES HEALTH BENEFIT GOVERNMENT Y N U 800-664-2583 - No published policy available. Contact health plan for information. NJ NJ EMPLOYEE PRES DRUG PLAN (NJ) GOVERNMENT - No published policy available. Contact health plan for information. NJ ANTHEM / WELLPOINT MEDICAID - No published policy available. Contact health plan for information. NJ HARMONY HEALTH PLAN OF IL MEDICAID - No published policy available. Contact health plan for information. NJ NJ HEALTH MEDICAID - No published policy available. Contact health plan for information. NJ UHC - AMERICHOICE MEDICAID - No published policy available. Contact health plan for information. NJ ANTHEM / WELLPOINT MEDICARE - No published policy available. Contact health plan for information. NJ BCBS HORIZON (NJ) MEDICARE No published policy available. Contact health plan for information. NJ CAREPOINT HEALTH PLANS MEDICARE - No published policy available. Contact health plan for information. NJ IBC MEDICARE MEDICARE - No published policy available. Contact health plan for information. NM NM HEALTH CONNECTIONS (NM) COMMERCIAL No published policy available. Contact health plan for information. NM PRESBYTERIAN HEALTH PLAN (NM) COMMERCIAL - No published policy available. Contact health plan for information. NM ALBUQUERQUE PUBLIC SCHOOLS (NM) GOVERNMENT - No published policy available. Contact health plan for information. NM FEDERAL EMPLOYEES HEALTH BENEFIT GOVERNMENT Y N U 800-325-8334 - No published policy available. Contact health plan for information. NM NEW MEXICO EMP RISK MGT (NM) GOVERNMENT - No published policy available. Contact health plan for information. NM NEW MEXICO RETIREE HC AUTH (NM) GOVERNMENT - No published policy available. Contact health plan for information. NM PUBLIC SCHOOL INSR AUTH - PSIA(NM) GOVERNMENT - No published policy available. Contact health plan for information. NM TRICARE GOVERNMENT - No published policy available. Contact health plan for information. NM UNIV OF NEW MEXICO (NM) GOVERNMENT - No published policy available. Contact health plan for information. NM MEDICAID NEW MEXICO (NM) MEDICAID - No published policy available. Contact health plan for information. NM MOLINA HEALTH CARE MEDICAID - No published policy available. Contact health plan for information. NM UHC - UNITED HEALTHCARE LEGACY MEDICAID - No published policy available. Contact health plan for information. NM ANTHEM / WELLPOINT MEDICARE - No published policy available. Contact health plan for information. NM MOLINA HEALTH CARE MEDICARE - No published policy available. Contact health plan for information. NM PRESBYTERIAN HEALTH PLAN (NM) MEDICARE - No published policy available. Contact health plan for information. NV HOMETOWN HEALTH PLAN (NV) COMMERCIAL - No published policy available. Contact health plan for information. NV MGM COMMERCIAL - No published policy available. Contact health plan for information. NV NEVADA HEALTH CO - OP (NV) COMMERCIAL - No published policy available. Contact health plan for information. NV UNIONS - NATIONAL COMMERCIAL - No published policy available. Contact health plan for information. NV FEDERAL EMPLOYEES HEALTH BENEFIT GOVERNMENT Y N U 800-860-2156 800-732-8318 No published policy available. Contact health plan for information. NV TEACHERS HEALTH TRUST (NV) GOVERNMENT - No published policy available. Contact health plan for information. NV TRICARE GOVERNMENT - No published policy available. Contact health plan for information. NV ANTHEM / WELLPOINT MEDICAID - No published policy available. Contact health plan for information. NV MEDICAID NEVADA (NV) MEDICAID - No published policy available. Contact health plan for information. NV UHC - UNITED HEALTHCARE LEGACY MEDICAID - No published policy available. Contact health plan for information. NV CAREMORE MEDICARE - No published policy available. Contact health plan for information. NV HOMETOWN HEALTH PLAN (NV) MEDICARE - No published policy available. Contact health plan for information. NV SIERRA HEALTH MEDICARE - No published policy available. Contact health plan for information. NY EXCELLUS - THIRD PARTY COMMERCIAL Y U U 800-363-4658 - No published policy available. Contact health plan for information. NY HIP COMMERCIAL - No published policy available. Contact health plan for information. NY INDEPENDENT HEALTH (NY) COMMERCIAL - No published policy available. Contact health plan for information. NY UNIONS - NATIONAL COMMERCIAL - No published policy available. Contact health plan for information. NY ANTHEM / WELLPOINT MEDICAID - No published policy available. Contact health plan for information. NY CAPITAL PHYSICIANS HEALTH PLAN - (CDPHP) MEDICAID - No published policy available. Contact health plan for information. NY FIDELIS CARE NEW YORK (NY) MEDICAID - No published policy available. Contact health plan for information. NY HEALTH FIRST (NY) MEDICAID - No published policy available. Contact health plan for information. NY MEDICAID NEW YORK (NY) MEDICAID - No published policy available. Contact health plan for information. NY METRO PLUS HEALTH PLAN (NY) MEDICAID - No published policy available. Contact health plan for information. NY UHC - AMERICHOICE MEDICAID - No published policy available. Contact health plan for information. NY ANTHEM / WELLPOINT MEDICARE - No published policy available. Contact health plan for information. NY EXCELLUS MEDICARE Y U U 800-363-4658 - No published policy available. Contact health plan for information. NY HEALTH FIRST (NY) MEDICARE - No published policy available. Contact health plan for information. NY HIP MEDICARE - No published policy available. Contact health plan for information. NY INDEPENDENT HEALTH (NY) MEDICARE - No published policy available. Contact health plan for information. OH MEDICAL MUTUTAL OF OHIO COMMERCIAL Y Y N 877-321-6664 - No published policy available. Contact health plan for information. OH FEDERAL EMPLOYEES HEALTH BENEFIT GOVERNMENT Y N U 800-860-2156 800-732-8318 No published policy available. Contact health plan for information. OH OHIO STATE EMP BENEFIT PLAN (OH) GOVERNMENT - No published policy available. Contact health plan for information. OH PUBLIC EES RETIREMENT (OH) GOVERNMENT - No published policy available. Contact health plan for information. OH CENTENE MEDICAID - No published policy available. Contact health plan for information. OH MEDICAID OHIO (OH) MEDICAID - No published policy available. Contact health plan for information. OH MOLINA HEALTH CARE MEDICAID - No published policy available. Contact health plan for information. OH PROMEDICA / PARAMOUNT HEALTH CARE MEDICAID - No published policy available. Contact health plan for information. OH UHC - UNISON HEALTH PLAN MEDICAID - No published policy available. Contact health plan for information. OH ANTHEM / WELLPOINT MEDICARE - No published policy available. Contact health plan for information. OK ANTHEM / WELLPOINT COMMERCIAL - No published policy available. Contact health plan for information. OK AT AND T COMMERCIAL - No published policy available. Contact health plan for information. OK CATALYST COMMERCIAL - No published policy available. Contact health plan for information. OK COMMUNITY CARE MHC COMMERCIAL - No published policy available. Contact health plan for information. OK HCA INC COMMERCIAL - No published policy available. Contact health plan for information. OK UHC - INNOVIANT COMMERCIAL - No published policy available. Contact health plan for information. OK UNIVERSAL AMERICAN COMMERCIAL - No published policy available. Contact health plan for information. OK WALMART COMMERCIAL - No published policy available. Contact health plan for information. OK FEDERAL EMPLOYEES HEALTH BENEFIT GOVERNMENT Y N U 800-672-2378 - No published policy available. Contact health plan for information. OK GOVRNMNT EMPLOYEE HOSP ASSC/GEHA GOVERNMENT - No published policy available. Contact health plan for information. OK OK STATE EDUCAT EE/HLTCHCE(OK) GOVERNMENT - No published policy available. Contact health plan for information. OK TRICARE GOVERNMENT - No published policy available. Contact health plan for information. OK MEDICAID OKLAHOMA (OK) MEDICAID - No published policy available. Contact health plan for information. OK COMMUNITY CARE MHC MEDICARE - No published policy available. Contact health plan for information. OK UNIVERSAL AMERICAN MEDICARE - No published policy available. Contact health plan for information. OR ODS HEALTH PLANS COMMERCIAL Y Y N 503-243-3968 503-243-3964 No published policy available. Contact health plan for information. OR PACIFICSOURCE (OR) COMMERCIAL - No published policy available. Contact health plan for information. OR PREMERA COMMERCIAL - No published policy available. Contact health plan for information. OR PROVIDENCE HEALTH SYSTEMS COMMERCIAL - No published policy available. Contact health plan for information. OR THE REGENCE GROUP COMMERCIAL - No published policy available. Contact health plan for information. OR UNIONS - NATIONAL COMMERCIAL - No published policy available. Contact health plan for information. OR FEDERAL EMPLOYEES HEALTH BENEFIT GOVERNMENT Y N U 800-824-8563 - No published policy available. Contact health plan for information. OR MARION POLK COMM HLTH PLAN (OR) MEDICAID - No published policy available. Contact health plan for information. OR MEDICAID OREGON (OR) MEDICAID Y N U 800-642-8635 - No published policy available. Contact health plan for information. OR PACIFICSOURCE (OR) MEDICAID - No published policy available. Contact health plan for information. OR ATRIO HEALTH PLAN (OR) MEDICARE - No published policy available. Contact health plan for information. OR CARE OREGON (OR) MEDICARE - No published policy available. Contact health plan for information. OR PACIFICSOURCE (OR) MEDICARE - No published policy available. Contact health plan for information. OR PROVIDENCE HEALTH SYSTEMS MEDICARE - No published policy available. Contact health plan for information. OR THE REGENCE GROUP MEDICARE - No published policy available. Contact health plan for information. PA HIGHMARK COMMERCIAL Y Y U 800-547-3627 - No published policy available. Contact health plan for information. PA UPMC (PA) COMMERCIAL - No published policy available. Contact health plan for information. PA FEDERAL EMPLOYEES HEALTH BENEFIT GOVERNMENT Y N U 800-862-3648 - No published policy available. Contact health plan for information. PA AMERIHEALTH/MERCY MEDICAID - No published policy available. Contact health plan for information. PA GATEWAY HEALTH PLAN MEDICAID - No published policy available. Contact health plan for information. PA HEALTH PARTNERS OF (PA) MEDICAID - No published policy available. Contact health plan for information. PA KEYSTONE MERCY MEDICAID - No published policy available. Contact health plan for information. PA MEDICAID PENNSYLVANIA (PA) MEDICAID - No published policy available. Contact health plan for information. PA UPMC (PA) MEDICAID - No published policy available. Contact health plan for information. PA COVENTRY MEDICARE - No published policy available. Contact health plan for information. PA GATEWAY HEALTH PLAN MEDICARE - No published policy available. Contact health plan for information. PA HEALTH SPRING MEDICARE - No published policy available. Contact health plan for information. PA UPMC (PA) MEDICARE - No published policy available. Contact health plan for information. RI ANTHEM / WELLPOINT COMMERCIAL - No published policy available. Contact health plan for information. RI BCBS MASSACHUSETTS (MA) COMMERCIAL - No published policy available. Contact health plan for information. RI BCBS RHODE ISLAND (RI) COMMERCIAL - No published policy available. Contact health plan for information. RI GENERAL DYNAMICS (VA) COMMERCIAL - No published policy available. Contact health plan for information. RI HARVARD PILGRIM COMMERCIAL - No published policy available. Contact health plan for information. RI NATL MEDICAL HLTH WORKERS COMP COMMERCIAL - No published policy available. Contact health plan for information. RI UNITED NETWORKS OF AMERICA COMMERCIAL - No published policy available. Contact health plan for information. RI CTY OF PROVIDENCE (RI) GOVERNMENT - No published policy available. Contact health plan for information. RI FEDERAL EMPLOYEES HEALTH BENEFIT GOVERNMENT Y N U 401-272-5670 - No published policy available. Contact health plan for information. RI STATE OF RHODE ISLAND EMP (RI) GOVERNMENT - No published policy available. Contact health plan for information. RI MEDICAID MASSACHUSETTS (MA) MEDICAID - No published policy available. Contact health plan for information. RI MEDICAID RHODE ISLAND (RI) MEDICAID - No published policy available. Contact health plan for information. RI NEIGHBORHOOD HEALTH PLAN OF RI MEDICAID - No published policy available. Contact health plan for information. RI UHC - UNITED HEALTHCARE LEGACY MEDICAID - No published policy available. Contact health plan for information. SC ANTHEM / WELLPOINT COMMERCIAL - No published policy available. Contact health plan for information. SC CONSUMERS CHOICE HLTH INS (SC) COMMERCIAL - No published policy available. Contact health plan for information. SC FEDERAL EMPLOYEES HEALTH BENEFIT GOVERNMENT Y N U 803-264-3100 - No published policy available. Contact health plan for information. SC SOUTH CAROLINA PEBA (SC) GOVERNMENT - No published policy available. Contact health plan for information. SC TRICARE GOVERNMENT - No published policy available. Contact health plan for information. SC CENTENE MEDICAID - No published policy available. Contact health plan for information. SC MEDICAID SOUTH CAROLINA (SC) MEDICAID - No published policy available. Contact health plan for information. SC MOLINA HEALTH CARE MEDICAID - No published policy available. Contact health plan for information. SC SELECT HEALTH OF SC MEDICAID Y Y U 888-559-1010 843-764-1988 No published policy available. Contact health plan for information. SC HEALTH SPRING MEDICARE - No published policy available. Contact health plan for information. SC NMHC EGWP MEDICARE - No published policy available. Contact health plan for information. SC SOUTH CAROLINA PEBA (SC) MEDICARE - No published policy available. Contact health plan for information. SC XL HEALTH MEDICARE - No published policy available. Contact health plan for information. SD ANTHEM / WELLPOINT COMMERCIAL - No published policy available. Contact health plan for information. SD AVERA HEALTH COMMERCIAL - No published policy available. Contact health plan for information. SD BCBS MINNESOTA (MN) COMMERCIAL - No published policy available. Contact health plan for information. SD BCBS NEBRASKA (NE) COMMERCIAL - No published policy available. Contact health plan for information. SD BCBS NORTH DAKOTA (ND) COMMERCIAL - No published policy available. Contact health plan for information. SD DAKOTACARE COMMERCIAL - No published policy available. Contact health plan for information. SD MEDICA COMMERCIAL Y Y N 800-458-5512 952-992-3556 No published policy available. Contact health plan for information. SD SANFORD HEALTH PLAN COMMERCIAL - No published policy available. Contact health plan for information. SD UHC - INNOVIANT COMMERCIAL - No published policy available. Contact health plan for information. SD WELLMARK COMMERCIAL - No published policy available. Contact health plan for information. SD WELLS FARGO CORP/NORWEST COMMERCIAL - No published policy available. Contact health plan for information. SD FEDERAL EMPLOYEES HEALTH BENEFIT GOVERNMENT Y N U 800-552-3993 - No published policy available. Contact health plan for information. SD TRICARE GOVERNMENT - No published policy available. Contact health plan for information. SD MEDICAID IOWA (IA) MEDICAID - No published policy available. Contact health plan for information. SD MEDICAID MISSOURI (MO) MEDICAID - No published policy available. Contact health plan for information. SD COVENTRY MEDICARE - No published policy available. Contact health plan for information. SD MEDICA MEDICARE Y Y N 800-458-5512 952-992-3556 No published policy available. Contact health plan for information. TN ANTHEM / WELLPOINT COMMERCIAL - No published policy available. Contact health plan for information. TN BCBS ALABAMA (AL) COMMERCIAL - No published policy available. Contact health plan for information. TN BCBS TENNESSEE (TN) COMMERCIAL - No published policy available. Contact health plan for information. TN HCA INC COMMERCIAL - No published policy available. Contact health plan for information. 888-242-9078 - No published policy available. Contact health plan for information. TN FEDERAL EMPLOYEES HEALTH BENEFIT GOVERNMENT Y N U 800-228-2096 - No published policy available. Contact health plan for information. TN STATE OF TN EMPLOYEES (TN) GOVERNMENT - No published policy available. Contact health plan for information. TN TENNESSEE COVERRX (TN) GOVERNMENT - No published policy available. Contact health plan for information. TN TRICARE GOVERNMENT - No published policy available. Contact health plan for information. TN MEDICAID TENNESSEE (TN) MEDICAID - No published policy available. Contact health plan for information. TN ANTHEM / WELLPOINT MEDICARE - No published policy available. Contact health plan for information. TN BCBS TENNESSEE (TN) MEDICARE - No published policy available. Contact health plan for information. TN HEALTH SPRING MEDICARE - No published policy available. Contact health plan for information. TX ANTHEM / WELLPOINT COMMERCIAL - No published policy available. Contact health plan for information. TX FEDERAL EMPLOYEES HEALTH BENEFIT GOVERNMENT Y N U 800-441-9188 - No published policy available. Contact health plan for information. TX TRICARE GOVERNMENT - No published policy available. Contact health plan for information. TX TRS - CARE GOVERNMENT - No published policy available. Contact health plan for information. TX ANTHEM / WELLPOINT MEDICAID - No published policy available. Contact health plan for information. TX CENTENE MEDICAID - No published policy available. Contact health plan for information. TX MOLINA HEALTH CARE MEDICAID - No published policy available. Contact health plan for information. TX UHC - UNITED HEALTHCARE LEGACY MEDICAID - No published policy available. Contact health plan for information. TX ANTHEM / WELLPOINT MEDICARE - No published policy available. Contact health plan for information. TX HEALTH SPRING MEDICARE - No published policy available. Contact health plan for information. TX UNIVERSAL AMERICAN MEDICARE - No published policy available. Contact health plan for information. TX XL HEALTH MEDICARE - No published policy available. Contact health plan for information. UT COVENTRY COMMERCIAL - No published policy available. Contact health plan for information. UT SELECT HEALTH COMMERCIAL - No published policy available. Contact health plan for information. UT THE REGENCE GROUP COMMERCIAL - No published policy available. Contact health plan for information. UT FEDERAL EMPLOYEES HEALTH BENEFIT GOVERNMENT Y N U 800-228-8263 - No published policy available. Contact health plan for information. UT PEHP/PUBLIC EMP HEALTH PLAN (UT) GOVERNMENT - No published policy available. Contact health plan for information. UT TRICARE GOVERNMENT - No published policy available. Contact health plan for information. UT MEDICAID UTAH (UT) MEDICAID - No published policy available. Contact health plan for information. UT MOLINA HEALTH CARE MEDICAID - No published policy available. Contact health plan for information. UT SELECT HEALTH MEDICAID - No published policy available. Contact health plan for information. UT UNIVERSITY OF UTAH (UT) MEDICAID - No published policy available. Contact health plan for information. UT COVENTRY MEDICARE - No published policy available. Contact health plan for information. UT MOLINA HEALTH CARE MEDICARE - No published policy available. Contact health plan for information. UT SELECT HEALTH MEDICARE - No published policy available. Contact health plan for information. UT THE REGENCE GROUP MEDICARE - No published policy available. Contact health plan for information. VA BCBS NORTH CAROLINA (NC) COMMERCIAL - No published policy available. Contact health plan for information. VA CAREMORE COMMERCIAL - No published policy available. Contact health plan for information. VA COVENTRY COMMERCIAL - No published policy available. Contact health plan for information. VA HCA INC COMMERCIAL - No published policy available. Contact health plan for information. VA UNIONS - NATIONAL COMMERCIAL - No published policy available. Contact health plan for information. VA COMMONWEALTH OF VIRGINIA (VA) GOVERNMENT - No published policy available. Contact health plan for information. VA FEDERAL EMPLOYEES HEALTH BENEFIT GOVERNMENT Y N U 800-860-2156 800-732-8318 No published policy available. Contact health plan for information. VA TRICARE GOVERNMENT - No published policy available. Contact health plan for information. VA ANTHEM / WELLPOINT MEDICAID - No published policy available. Contact health plan for information. VA COVENTRY MEDICAID - No published policy available. Contact health plan for information. VA MEDICAID VIRGINIA (VA) MEDICAID - No published policy available. Contact health plan for information. VA VIRGINIA PREMIER HEALTH PLAN MEDICAID - No published policy available. Contact health plan for information. VA CAREMORE MEDICARE - No published policy available. Contact health plan for information. VT ANTHEM / WELLPOINT COMMERCIAL - No published policy available. Contact health plan for information. VT BCBS MASSACHUSETTS (MA) COMMERCIAL No published policy available. Contact health plan for information. VT CBA/EBPA COMMERCIAL - No published policy available. Contact health plan for information. VT EXCELLUS - THIRD PARTY COMMERCIAL - No published policy available. Contact health plan for information. VT GENERAL ELECTRIC COMPANY COMMERCIAL - No published policy available. Contact health plan for information. VT IBM CORPORATION COMMERCIAL - No published policy available. Contact health plan for information. VT MVP (NY) COMMERCIAL - No published policy available. Contact health plan for information. VT RESTAT COMMERCIAL - No published policy available. Contact health plan for information. VT FEDERAL EMPLOYEES HEALTH BENEFIT GOVERNMENT Y N U 800-922-8778 - No published policy available. Contact health plan for information. VT STATE OF VERMONT EMPLOYEES (VT) GOVERNMENT - No published policy available. Contact health plan for information. VT TRICARE GOVERNMENT - No published policy available. Contact health plan for information. VT FIDELIS CARE NEW YORK (NY) MEDICAID - No published policy available. Contact health plan for information. VT MEDICAID VERMONT (VT) MEDICAID Y N Y 844-679-5366 - No published policy available. Contact health plan for information. VT MVP (NY) MEDICARE - No published policy available. Contact health plan for information. VT NEW ENGLAND JOINT ENTERP MEDICARE - No published policy available. Contact health plan for information. WA GROUP HEALTH (WA) COMMERCIAL U U U 800-289-1363 888-282-2685 No published policy available. Contact health plan for information. WA ODS HEALTH PLANS COMMERCIAL - No published policy available. Contact health plan for information. WA THE BOEING COMPANY COMMERCIAL - No published policy available. Contact health plan for information. WA THE REGENCE GROUP COMMERCIAL - No published policy available. Contact health plan for information. WA UNIONS - NATIONAL COMMERCIAL - No published policy available. Contact health plan for information. WA FEDERAL EMPLOYEES HEALTH BENEFIT GOVERNMENT Y N U 800-562-1011 - No published policy available. Contact health plan for information. WA ANTHEM / WELLPOINT MEDICAID - No published policy available. Contact health plan for information. WA COMMUNITY HEALTH PLAN OF WA - (CHPW) MEDICAID - No published policy available. Contact health plan for information. WA MEDICAID WASHINGTON (WA) MEDICAID - No published policy available. Contact health plan for information. WA MOLINA HEALTH CARE MEDICAID - No published policy available. Contact health plan for information. WA UHC - UNITED HEALTHCARE LEGACY MEDICAID - No published policy available. Contact health plan for information. WA PREMERA MEDICARE - No published policy available. Contact health plan for information. WA SOUNDPATH HEALTH (WA) MEDICARE - No published policy available. Contact health plan for information. WA THE REGENCE GROUP MEDICARE - No published policy available. Contact health plan for information. WI BCBS MINNESOTA (MN) COMMERCIAL - No published policy available. Contact health plan for information. WI NAVITUS - OTHERS COMMERCIAL - No published policy available. Contact health plan for information. WI NETWORK HEALTH (WI) COMMERCIAL - No published policy available. Contact health plan for information. WI UHC - INNOVIANT COMMERCIAL - No published policy available. Contact health plan for information. WI UNITY HEALTH INSURANCE COMMERCIAL - No published policy available. Contact health plan for information. WI WISCONSIN PHYSICIANS SERVICES COMMERCIAL - No published policy available. Contact health plan for information. WI FEDERAL EMPLOYEES HEALTH BENEFIT GOVERNMENT Y N U 800-860-2156 800-732-8318 No published policy available. Contact health plan for information. WI NAVITUS - WI EMPLOYEE TRUST FUND GOVERNMENT - No published policy available. Contact health plan for information. WI WISCONSIN EDU ASSOC COUNCIL (WI) GOVERNMENT - No published policy available. Contact health plan for information. WI MEDICAID WISCONSIN (WI) MEDICAID Y U N 608-221-8616 - No published policy available. Contact health plan for information. WI I CARE (WI) MEDICARE - No published policy available. Contact health plan for information. WI NETWORK HEALTH (WI) MEDICARE - No published policy available. Contact health plan for information. WV ALPHA NATURAL RESOURCES COMMERCIAL - - No published policy available. Contact health plan for information. WV ANTHEM / WELLPOINT COMMERCIAL - No published policy available. Contact health plan for information. WV HEALTH PLAN UPPER OHIO VALLEY (OH) COMMERCIAL - No published policy available. Contact health plan for information. WV UNIONS - NATIONAL COMMERCIAL - No published policy available. Contact health plan for information. WV FEDERAL EMPLOYEES HEALTH BENEFIT GOVERNMENT Y N U 800-344-5245 - No published policy available. Contact health plan for information. WV PEIA (WV) GOVERNMENT - No published policy available. Contact health plan for information. WV TRICARE GOVERNMENT - No published policy available. Contact health plan for information. WV ANTHEM / WELLPOINT MEDICAID - No published policy available. Contact health plan for information. WV CARESOURCE MEDICAID - No published policy available. Contact health plan for information. WV COVENTRY MEDICAID - No published policy available. Contact health plan for information. WV HEALTH PLAN UPPER OHIO VALLEY (OH) MEDICAID - No published policy available. Contact health plan for information. WV HIGHMARK MEDICAID - No published policy available. Contact health plan for information. WV MEDICAID WEST VIRGINIA (WV) MEDICAID - No published policy available. Contact health plan for information. WV UHC - UNISON HEALTH PLAN MEDICAID - No published policy available. Contact health plan for information. WV COVENTRY MEDICARE - No published policy available. Contact health plan for information. WV HEALTH PLAN UPPER OHIO VALLEY (OH) MEDICARE - No published policy available. Contact health plan for information. WY ANTHEM / WELLPOINT COMMERCIAL - No published policy available. Contact health plan for information. WY ASSURANT COMMERCIAL - No published policy available. Contact health plan for information. WY BLUE CROSS IDAHO (ID) COMMERCIAL - No published policy available. Contact health plan for information. WY EMPLOYEE BNFT MGT SVCS/EBMS (MT) COMMERCIAL - No published policy available. Contact health plan for information. WY ODS HEALTH PLANS COMMERCIAL - No published policy available. Contact health plan for information. WY SELECT HEALTH COMMERCIAL - No published policy available. Contact health plan for information. WY THE REGENCE GROUP COMMERCIAL - No published policy available. Contact health plan for information. WY UHC - INNOVIANT COMMERCIAL - No published policy available. Contact health plan for information. WY FEDERAL EMPLOYEES HEALTH BENEFIT GOVERNMENT Y N U 307-634-1393 - No published policy available. Contact health plan for information. WY STATE OF WYOMING EMP (WY) GOVERNMENT - No published policy available. Contact health plan for information. WY TRICARE GOVERNMENT - No published policy available. Contact health plan for information. WY MEDICAID COLORADO (CO) MEDICAID - No published policy available. Contact health plan for information. WY MEDICAID MAINE (ME) MEDICAID - No published policy available. Contact health plan for information. WY MEDICAID WYOMING (WY) MEDICAID - No published policy available. Contact health plan for information. WY UHC - UNITED HEALTHCARE LEGACY MEDICAID - No published policy available. Contact health plan for information. *Not a guarantee of coverage under any specific plan. Coverage criteria are subject to change. Each payer may have multiple plans with different coverage. This information may not be complete or error-free and should be considered a guide only. To confirm coverage and frequency limits in individual cases, or for more information on any particular plan, you (or the patient) should contact the payer directly. This material was compiled based on publicly available information provided by Policy Reporter. Policy Reporter and its affiliates do not guarantee the accuracy or completeness of its service, data, or any content therein. 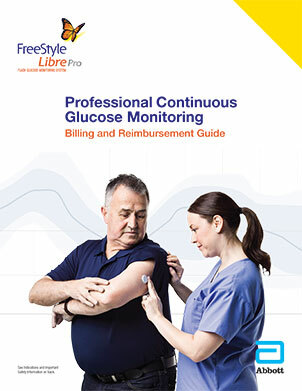 †The information above reflects coverage only for approved indications of FreeStyle Libre Pro, and is not intended to give complete CGM coverage information. FreeStyle Libre Pro is NOT indicated for pediatric or gestational patients. 95250 and 95251 can only be reported once monthly per patient and require a minimum of 72 hours of data. Payers are not obligated to cover monthly. E/M can only be billed separately on the same day when a significant and separately identifiable service took place above and beyond the services associated with CGM. Use modifier "-25" with E/M code when billing 95250 and 95251 on the same day. Individual plans vary. Always verify coverage and frequency limits directly with the payer. It is the physician's responsibility to ensure appropriate code selection. *Billing of CPT 95250 and 95251 does not preclude the use of Evaluation and Management codes. Add modifier “-25” to the E/M code if a separate face-to-face office visit above and beyond the CGM service is performed, medically necessary, and documented. Medicare rates are not geographically adjusted and do not show the impact of the 2% sequestration. Physician fee schedule rates represent the non-facility allowed rates. References: 1. Determining Medicare Payments PPRRVU16_V0122.xlsx https://www.cms.gov/Medicare/Medicare-Fee-for-Service-Payment/PhysicianFeeSched/ 2. January 2016 Web Addendum B.12.14.15.xlsx https://www.cms.gov/Medicare/Medicare-Fee-for-Service-Payment/HospitalOutpatientPPS/ 3. PMIC Medical Fees in the United States 2016. Numbers provided are the 50th percentile of the Usual and Customary (UCR) charges. Note: These are charges and not actual reimbursed amounts. Private payer paid rates are confidential. CPT code definitions sourced from American Medical Association CPT Code Book 2016. * Coverage is limited to patients for whom professional CGM is medically necessary. Individual plan coverage may vary. Always verify coverage criteria and frequency directly with the payer. † Medicare does not have a NCD for professional CGM. Most local contractors do not have a policy limiting professional CGM. To determine coverage, check with the local Medicare administrative contractor.